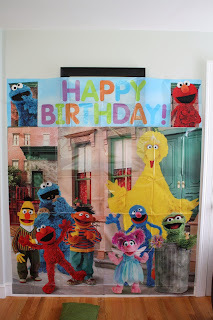 Bridget's 1st Birthday Sesame Street Extravaganza! It has taken me a long time to get around to doing this post. 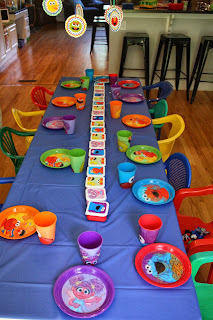 Maybe I'm a little sad that this was our last 1st birthday party...OK not maybe, definitely. 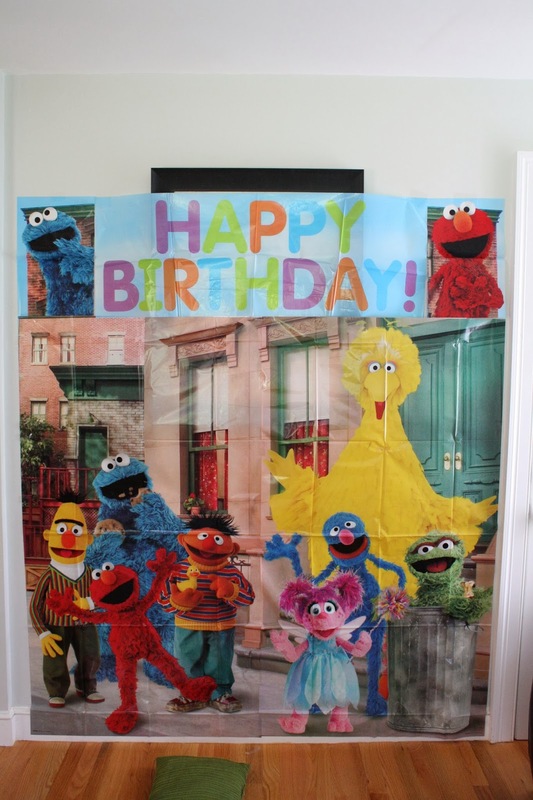 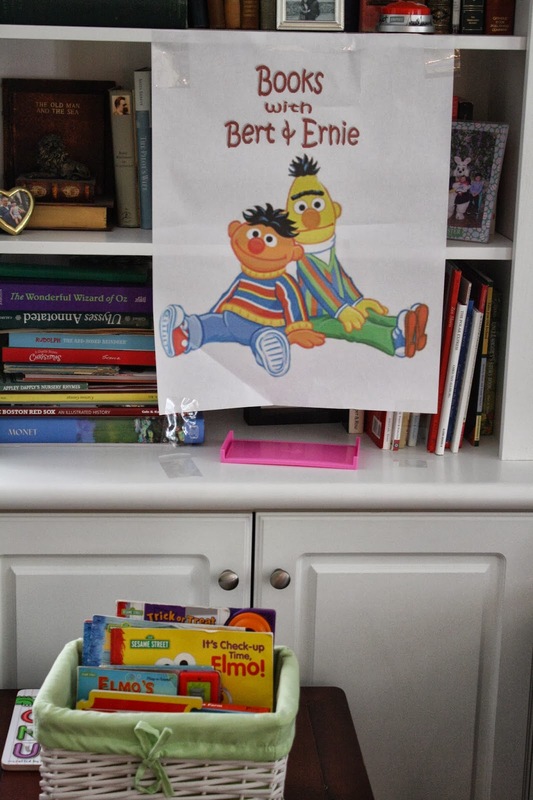 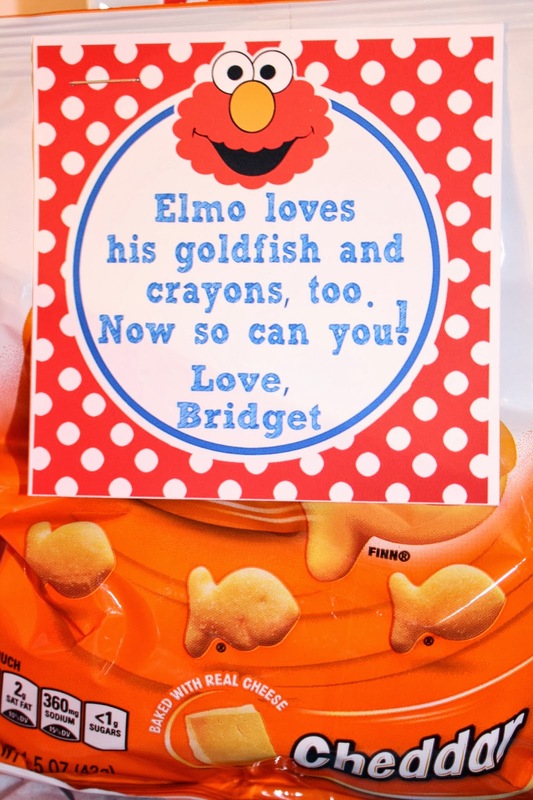 I decided a while back that our daughter Bridget's 1st birthday would be a Sesame Street theme. 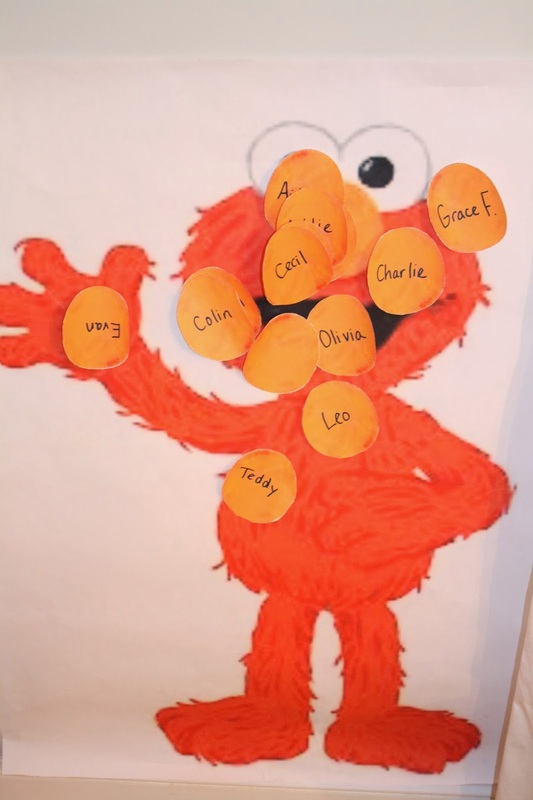 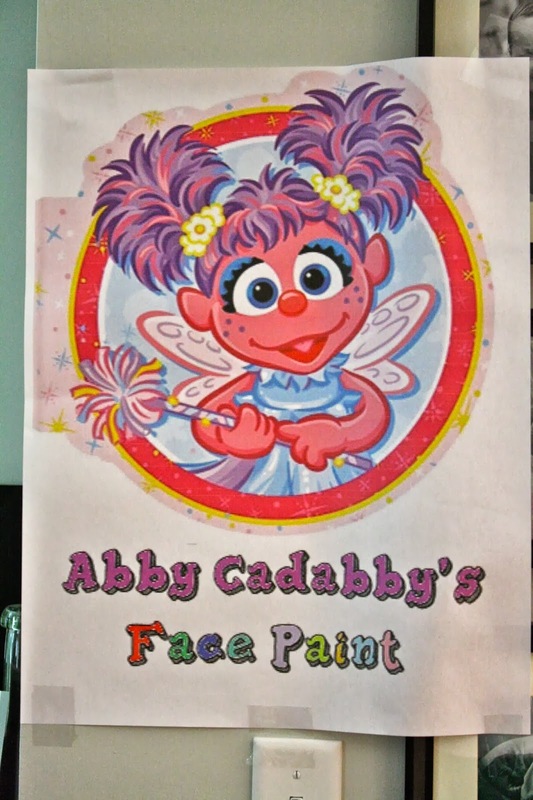 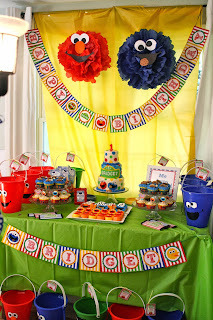 Our oldest, Addie, had an Elmo 1st birthday and Colin had a Cookie Monster 1st birthday. 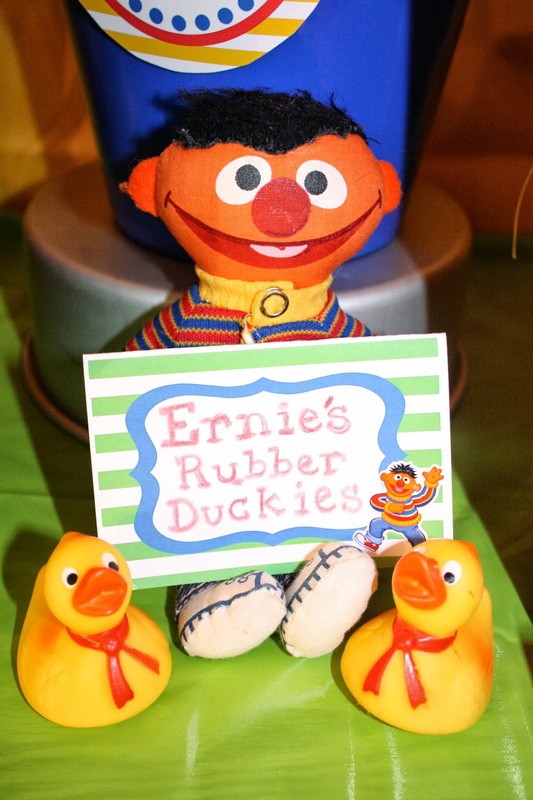 Also we took a trip to Sesame Place in PA this summer, so it seemed only fitting that Miss B should have a Sesame Street Party! I started making things for her party a month beforehand. 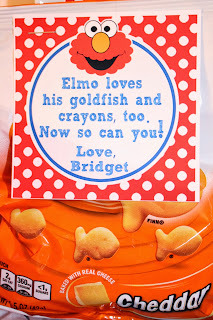 I purchased some adorable printables and started printing, cutting, framing and stringing. 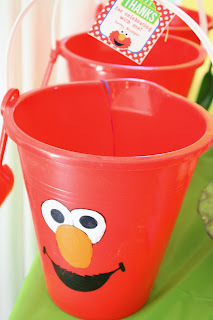 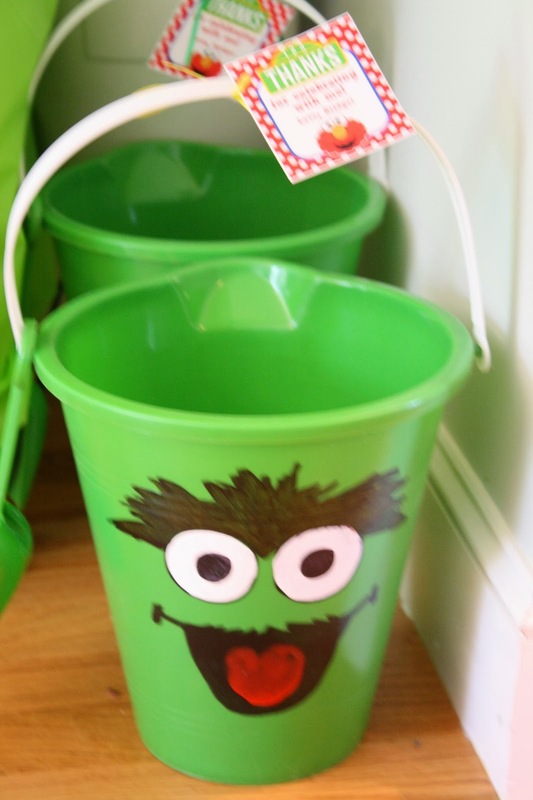 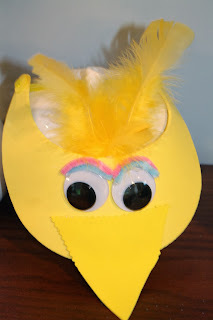 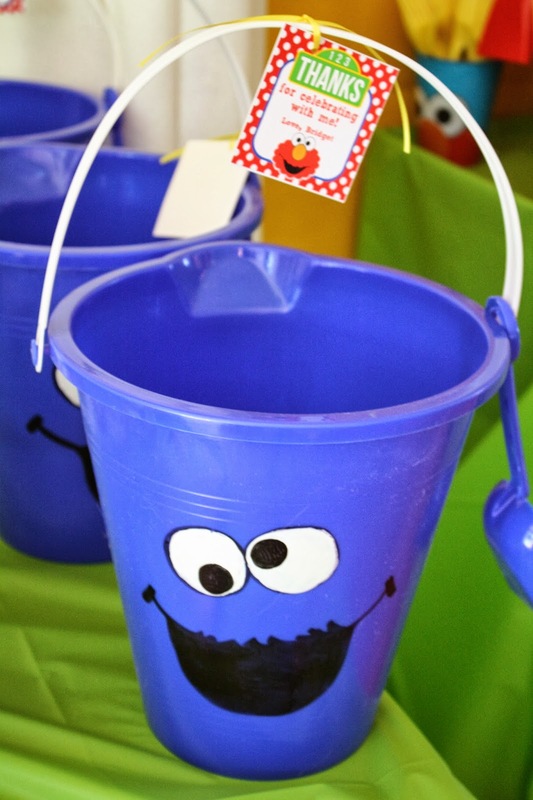 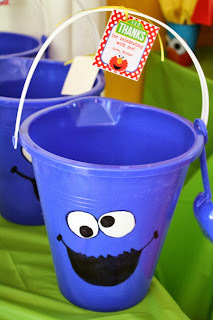 I made the cute little visors, Elmo and Cookie Monster pompoms and painted character buckets for each child coming to the party. 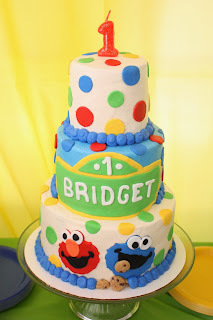 The cake was 3 tiers, bottom tier chocolate with Oreo buttercream and top two tiers yellow with buttercream. 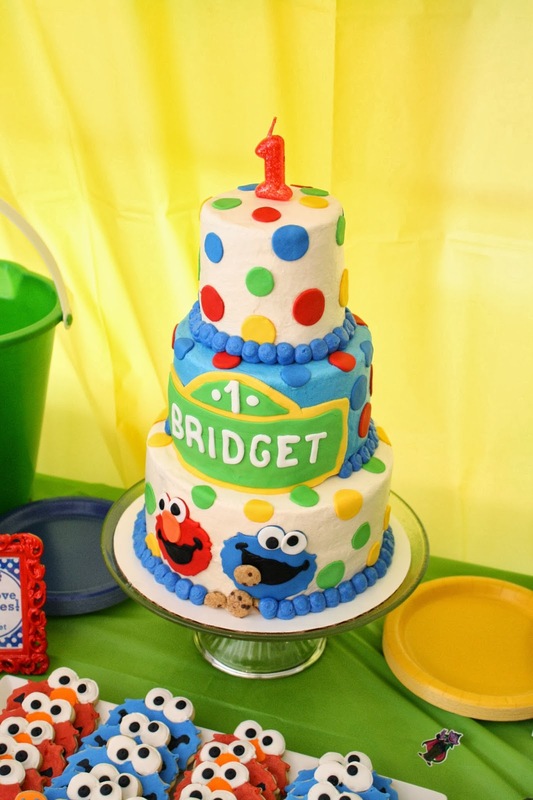 The top tier served as Bridget's smash cake (a first in our house, the other two didn't have smash cakes). 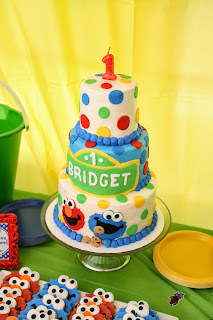 The cake was surrounded by Cookie Monster cupcakes, Elmo chocolate covered Oreos, chocolate chip cookie cupcakes with chocolate chip cookie dough frosting, Elmo and Cookie sugar cookies, and B and 1 sugar cookies for everyone to take home. 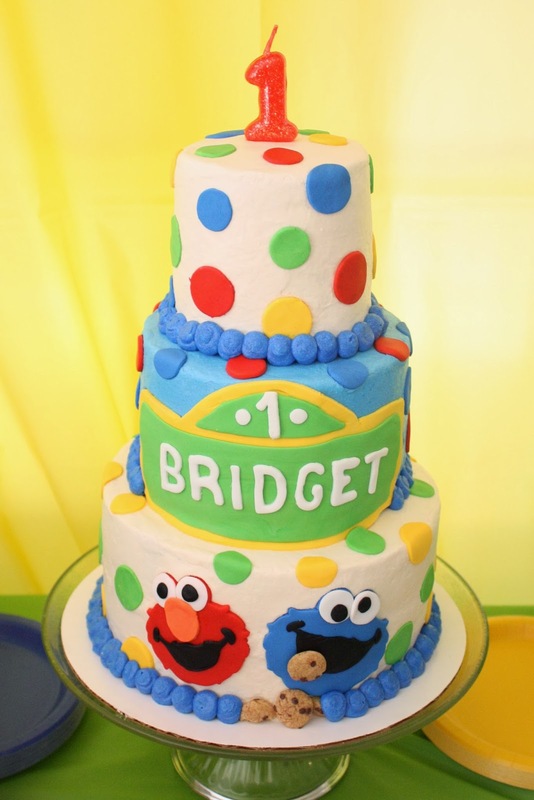 I have to say I have never seen anyone enjoy his or her 1st birthday cake as much as Bridget did...must have been all the sweets her sister and brother had given her priming her for the experience! So here are way too many pictures of our last 1st birthday party...Happy Birthday Bridget, can't believe you're already one, you truly complete our family and we love you so much!